Oct. 26, 2018, 11:48 a.m. The Larson Group proudly presented Convoy of Hope with a donation of $106,060 on October 24, in support of their Hurricane Florence relief efforts in the Carolinas. Following Hurricane Florence’s devastation in September, TLG announced they would donate $100,000 to Convoy of Hope and launched a match campaign to encourage employee and customer contributions up to another $100,000. TLG employees, customers and friends generously donated $6,060 during the three-week campaign, which means Convoy of Hope received a total of $112,120! The donation announcement and launch of the match campaign were in response to the damage and displacement caused by Hurricane Florence, which hit North and South Carolina. TLG operates four locations in the Carolinas, which employ more that 150 TLG team members. Fortunately, all employees made it through the storm safely, but the coastal communities were devasted. TLG knew that they would continue to need support in restoring their communities and that a partnership with Convoy of Hope would aid in that need. Following Hurricane Florence’s landfall on September 14, Convoy of Hope has distributed more than 1.5 million pounds of supplies to more than 80,000 individuals in need. Convoy has mobilized more than 1,800 volunteers that have given more than 9,700 hours of their time serving 32 North Carolina communities and two South Carolina communities. 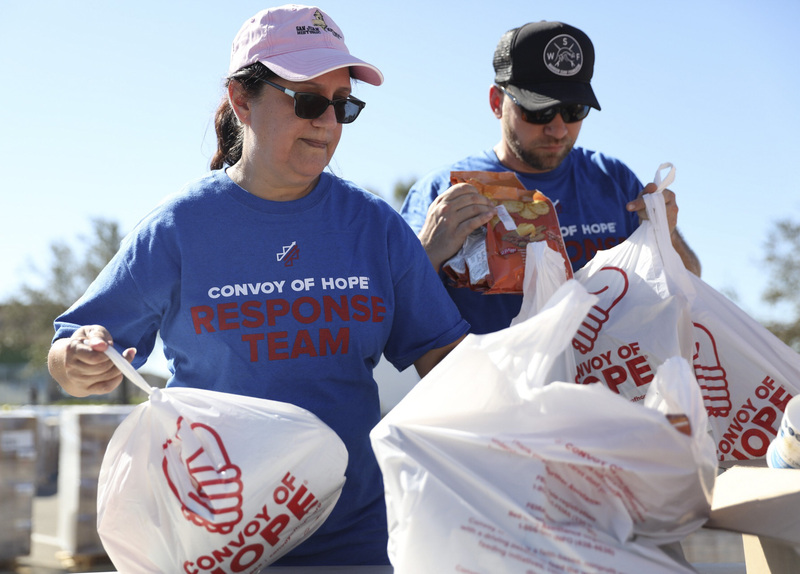 For more information about Convoy of Hope and their hurricane relief efforts visit www.convoyofhope.org.